The new agreement is partially retroactive, covering the period between April 2015, when the last one expired, and Dec. 31, 2017. 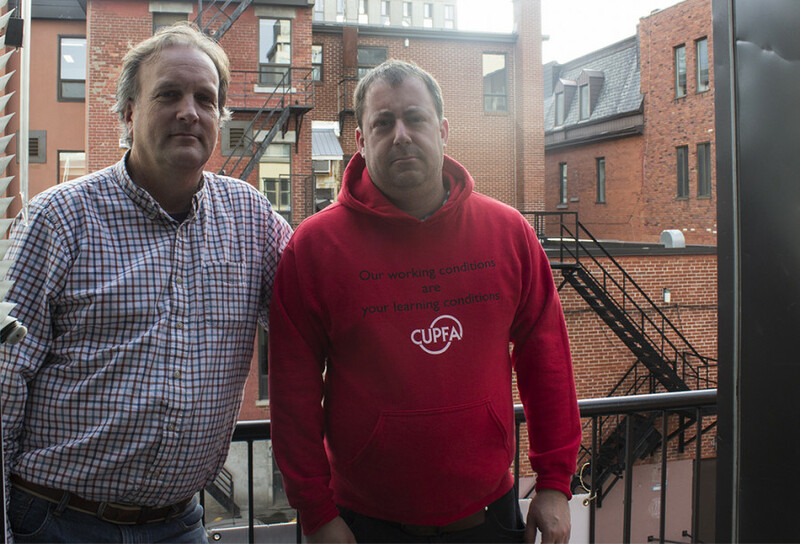 With the labour contract expiring so soon, negotiations between CUPFA and Concordia will begin again in the new year. In 2017, the Quebec government mandated that both the employer and employee contribute 50 per cent to their pension plan. According to Blais, before this law passed, CUPFA had been contributing 30 per cent to the pension plan, while Concordia put in 70 per cent. Blais added that there was room for negotiation within the new law, and that CUPFA came to a temporary agreement to contribute 45 per cent of their pension, and Concordia adds the rest, 55 per cent. “Communication was fluid during the previous negotiations. We expect both parties will negotiate in good faith,” said Concordia university’s spokesperson, Mary-Jo Barr in an email. “We will discuss with CUPFA when negotiations for the [next] agreement begin,” she added. Before looking ahead, CUPFA was satisfied to reach an agreement with Concordia after two years of negotiations. “In the ideal world you’d like to finish [negotiations] before [the collective agreement expires], but in reality, it doesn’t happen that often,” Blais said. With the new contract, CUPFA received pay raises that match what the other unions, such as the Concordia University Faculty Association. They also have received, better access to extra duties around the school, such as taking academic advising duties, and easier access to Concordia’s health care benefits. Previous to the current agreement, Blais said there wasn’t any model for part-time faculty members to receive extra duties around the school as it was done on a case-by-case basis. Blais said that after a year, CUPFA will look at how many additional duties have been assigned to part-time faculty members. Part-time professors will now need fewer credits to receive benefits from Concordia’s health plan. The old collective agreement required part-time faculty members to have taught 17 courses or attain 50 credits, over their career at Concordia. The new agreement requires only 45 credits, which is 15 courses. “[It] is still a long time, but it makes the situation basically a little better,” Blais said. Now there are also clauses that define the maximum amount of students that a part-time faculty member can teach. Blais said there is a big difference between growing class sizes in the arts and sciences compared to business classes. The collective agreement will be signed in October, according Blais.